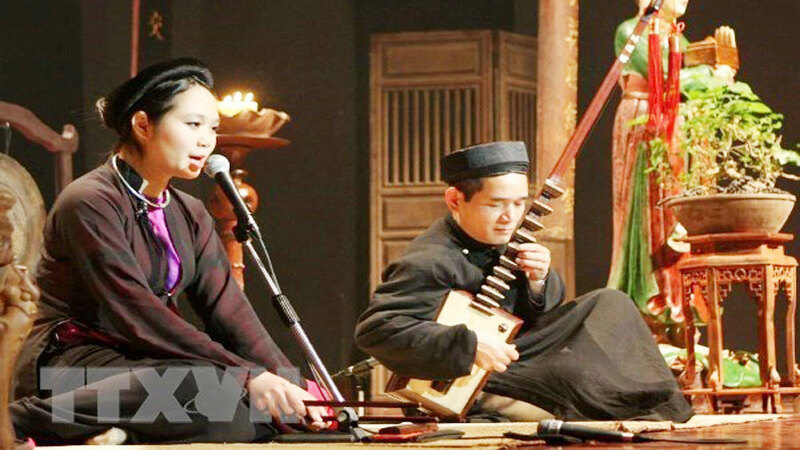 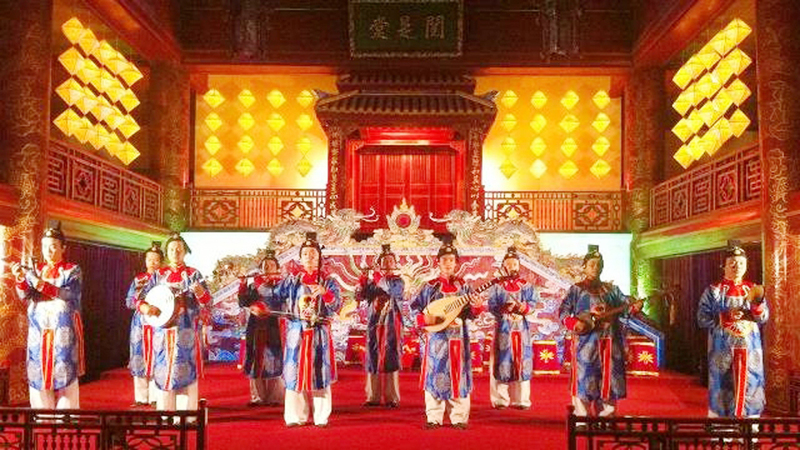 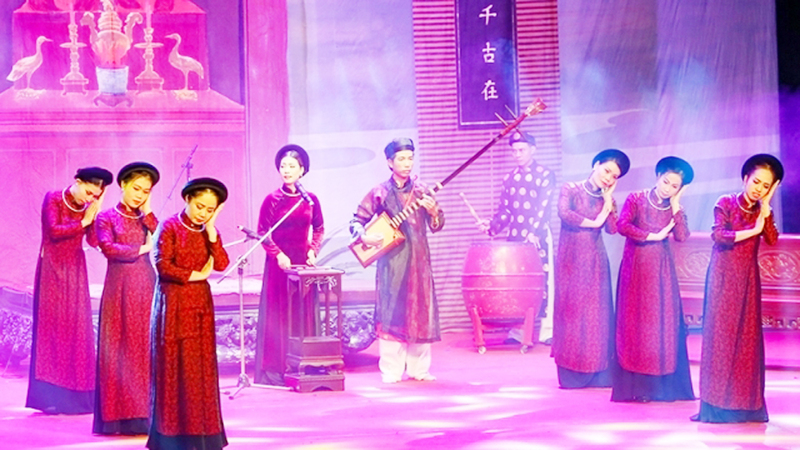 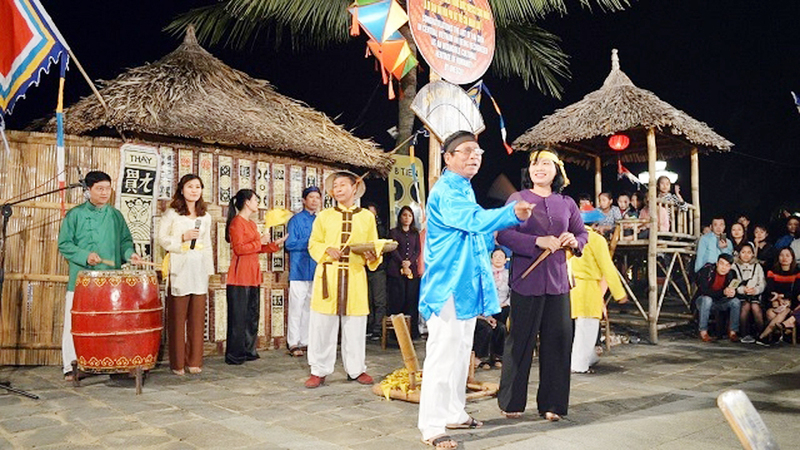 An exhibition featuring the Thang Long imperial citadel through the Nguyen dynasty’s woodblocks was held at the relic site in Hanoi on November 23 as part of activities to mark the Vietnamese Heritage Day. 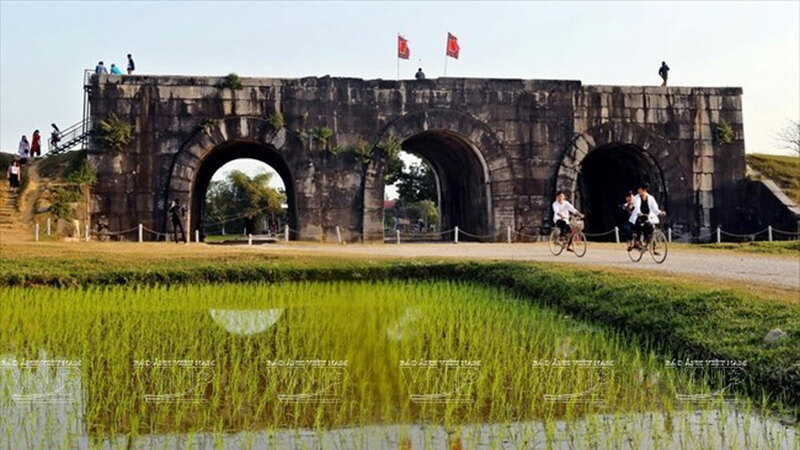 Sixty versions of the woodblocks, documents and images tell about the architecture and building process of the Thang Long imperial citadel. 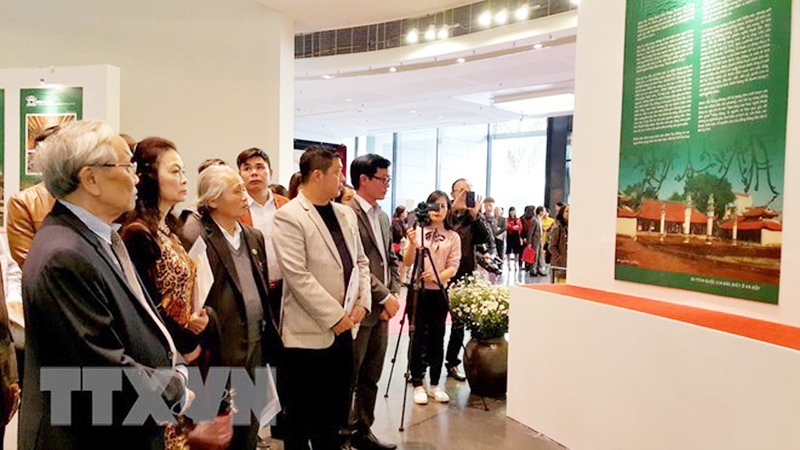 Visitors look at a woodblock on show at the exhibition. 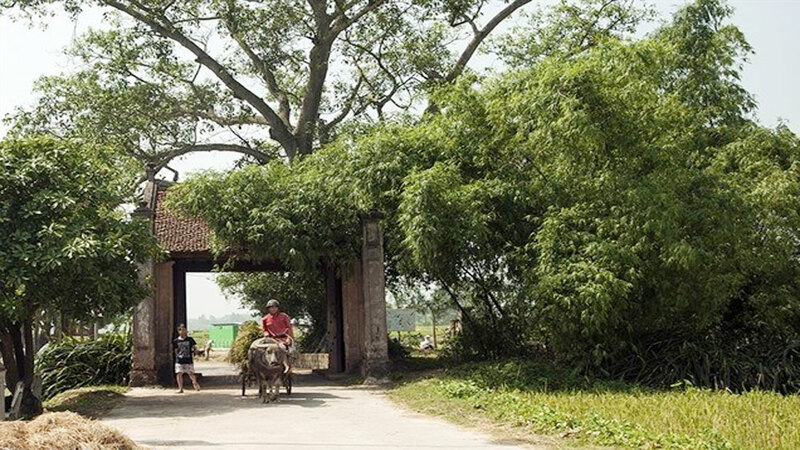 This is the first exhibition combining the Nguyen dynasty’s woodblocks, which are the world-recognized documentary heritage, and historical documents relating to the ancient citadel. 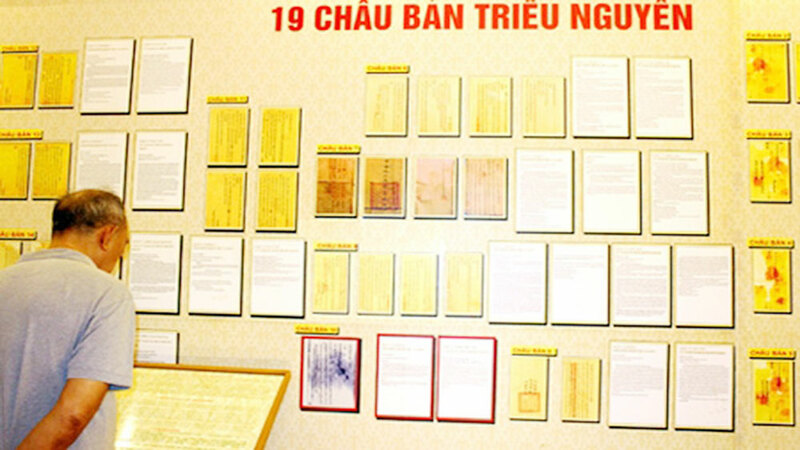 The documents give visitors an overview of the construction and architectural changes of the citadel’s central area from the seventh to the nineteenth century. 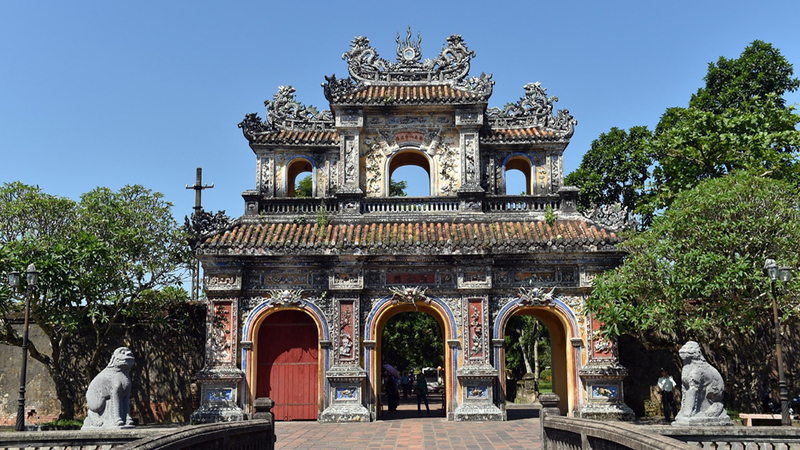 These documents also reassert the values in terms of architecture, construction techniques, and urban planning of the Thang Long imperial citadel as the centre of power of Vietnam during over 1,000 years. 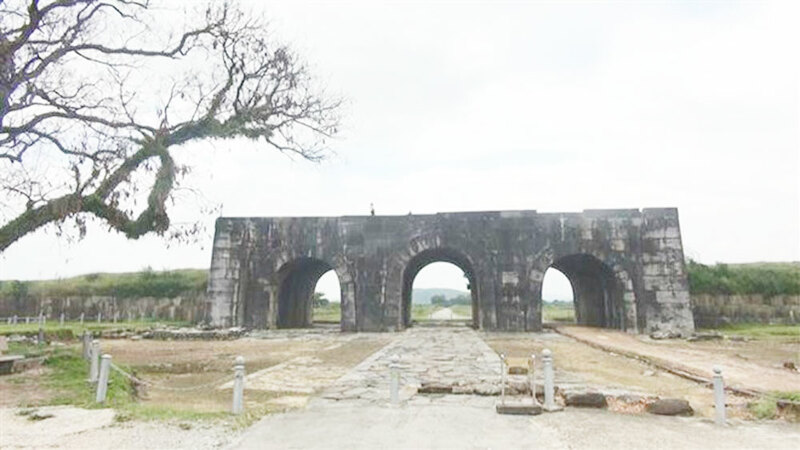 They will also play a role in restoring and preserving the site. 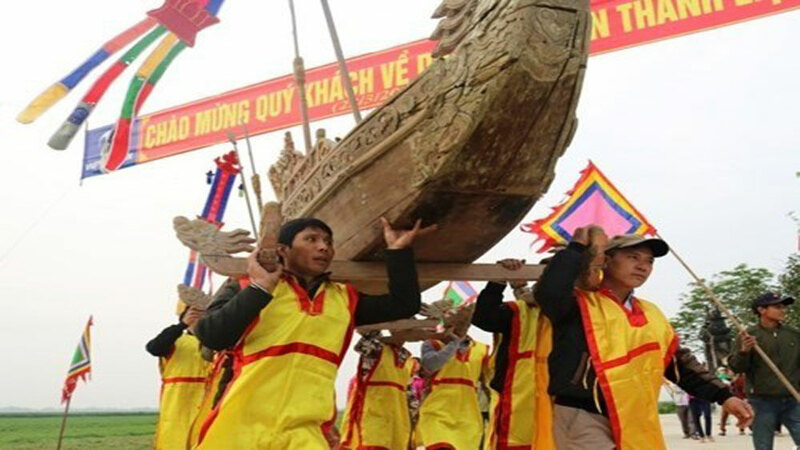 (BGO) – The collection of Sutra woodblocks carved on thi wood (decandrous perssimmom) in Bo Da Pagoda, Bac Giang province has been named the world’s oldest of its kind at the 33th Meeting of the Vietnam Record Holders recently held in HCM City. 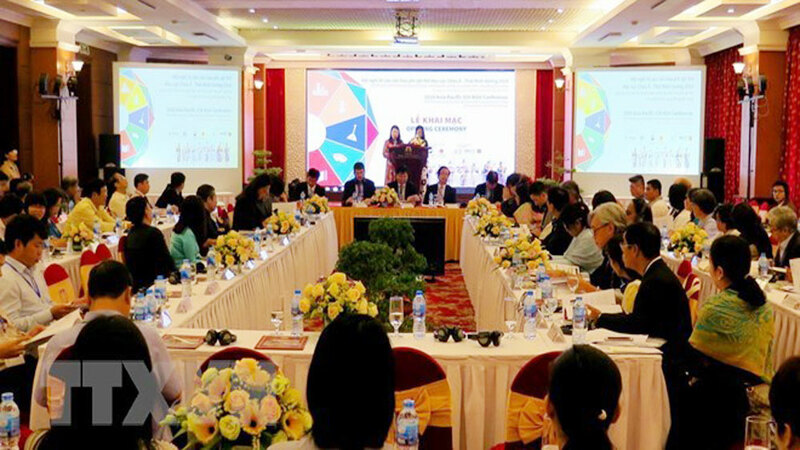 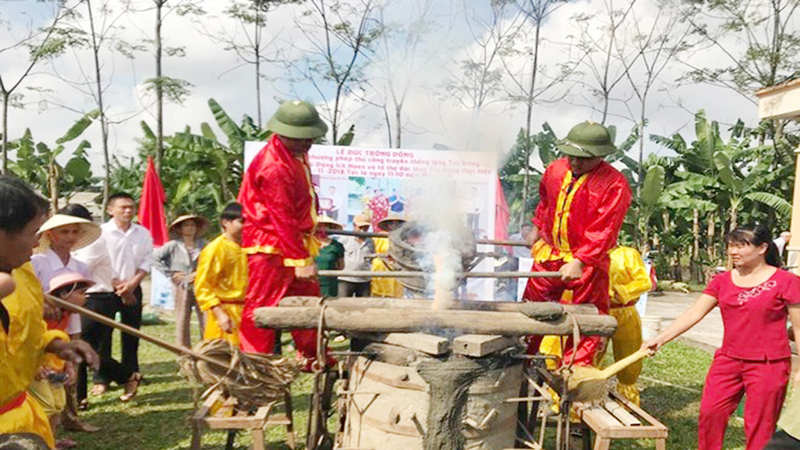 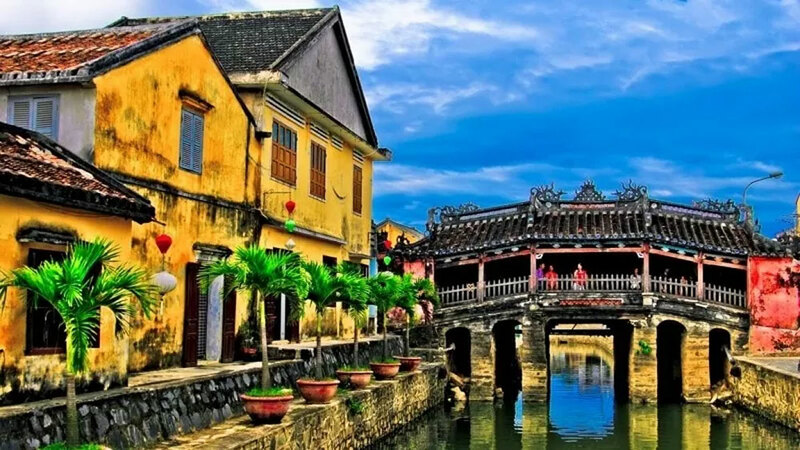 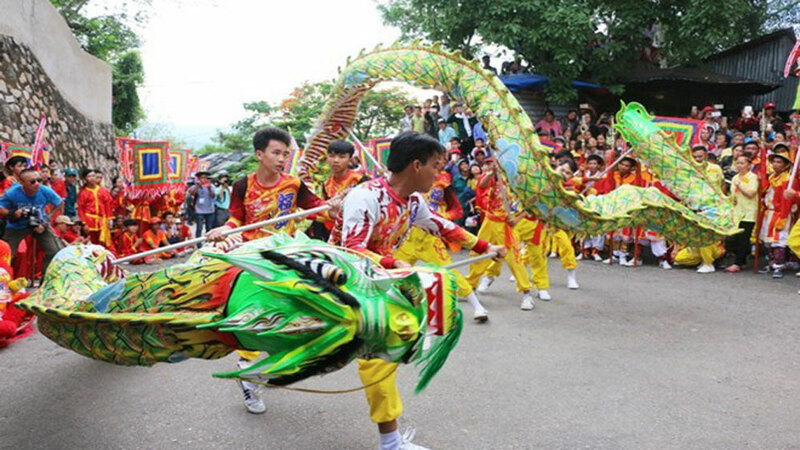 (BGO) – Vice Chairman of the Bac Giang provincial People’s Committee Le Anh Duong on June 13 chaired a conference listening to the outcomes of a State-level project comprising independent studies on preserving and promoting the values of woodblock heritage in Vinh Nghiem and Bo Da pagodas. 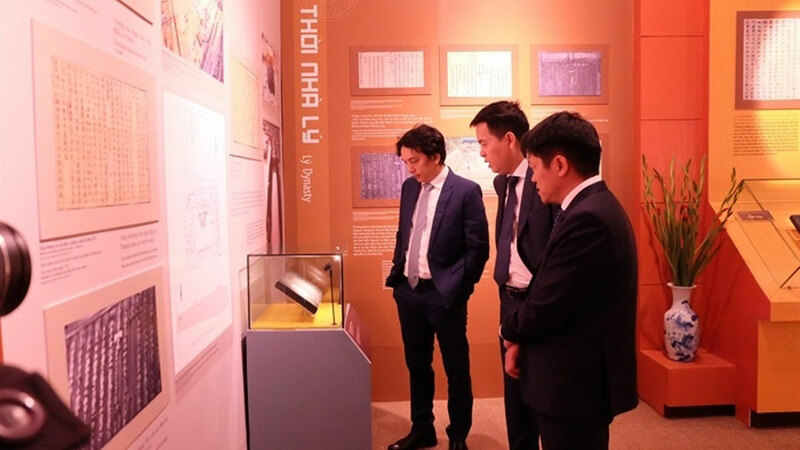 Deputy Prime Minister Truong Hoa Binh has praised the National Archives Centre IV in Da Lat city for its efforts in preserving the Nguyen dynasty printing woodblocks, which were recogised by UNESCO as a Memory of the World. 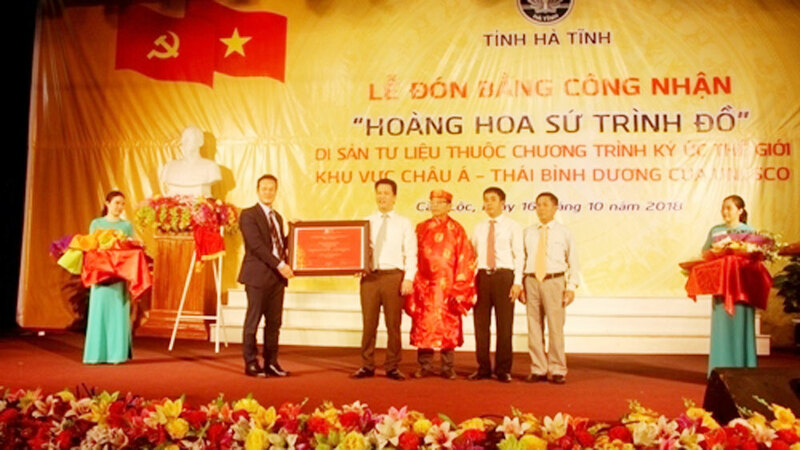 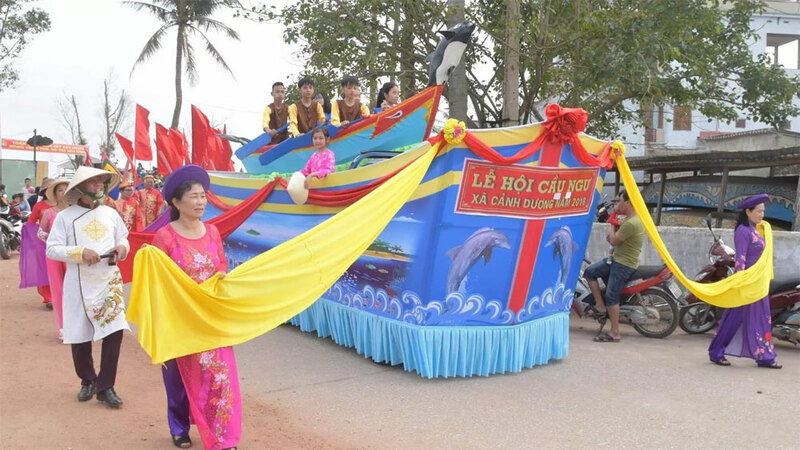 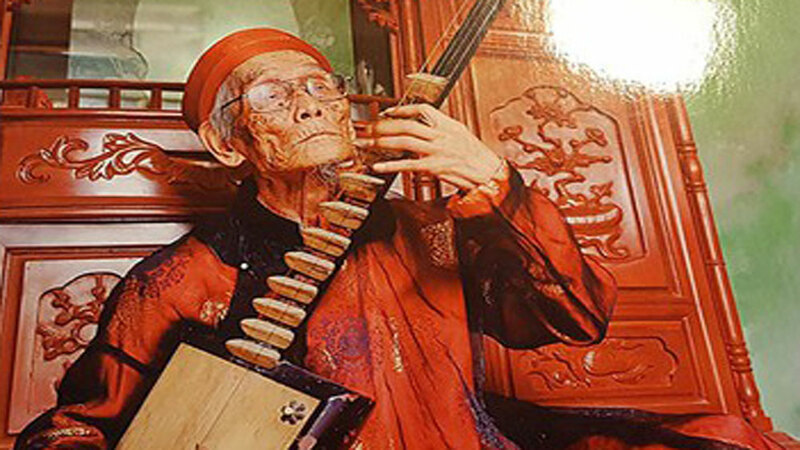 Standing Deputy Prime minister Truong Hoa Binh has requested that the relevant ministries and sectors devise measures in order to promote the values of the woodblocks of the Nguyen Dynasty. 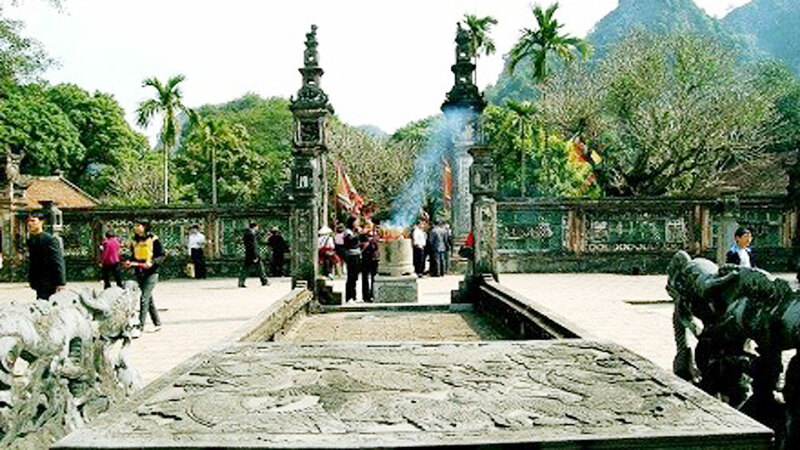 (BGO) – The Ministry of Science and Technology has organised an evaluation council for the national independent project of “Preservation and development of woodblock heritage value in Vinh Nghiem and Bo Da pagodas in the northern province of Bac Giang” implemented by the Center of Information and Statistic for Science and Technology (Bac Giang provincial Department of Science and Technology).